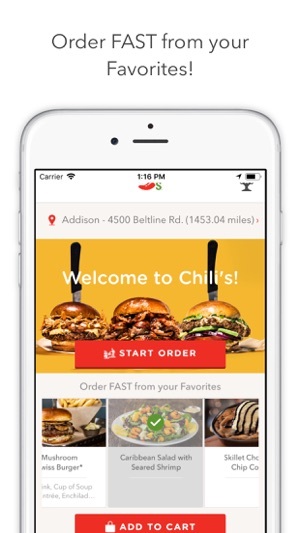 With Chili’s iPhone app, it’s easy to find your nearest restaurant, add your name to the wait list, check out the menu, order to go, reorder your favorites! 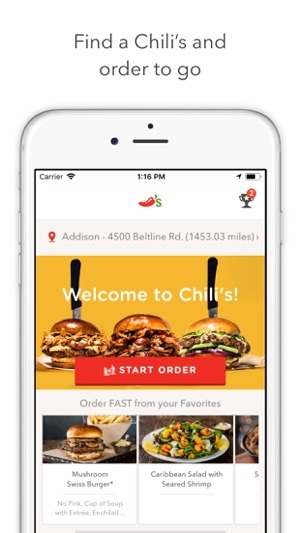 This isn’t technically an app issue so I gave it 3 stars instead of 1... but sadly, if the service at the location stinks (Burleson,Tx), no one will use the app. 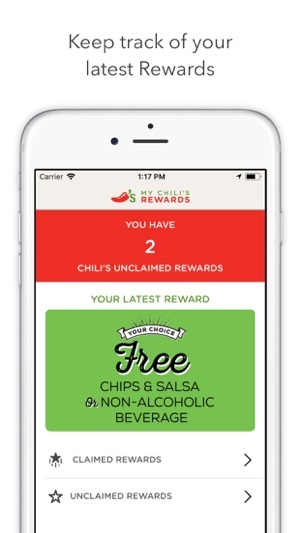 I arrived on time (actually 2 minutes late), texted “here” and waited 15 minutes then gave up and went inside thinking I might have done something wrong, since it was my first time using the app. It was standing room only when I got inside the to go area, someone holler to myself and the other curbside patron that had given up and gone in that someone would be with us as soon as they could....I waited another 5+ minutes or so before someone headed for the door with a bag I stopped her and turns out it was mine. Got in the car, and we immediately pulled out the fries to munch on while we drove home.... they were warm, at best, with congealed cheese and soggy fries. The pink in the middle bacon burger had no bacon, was warmish- but flavorless because it was charred to the point we pinched off all the edges. The rest of the meal though definitely not the temps it should have been, was ok.
my location all the time? 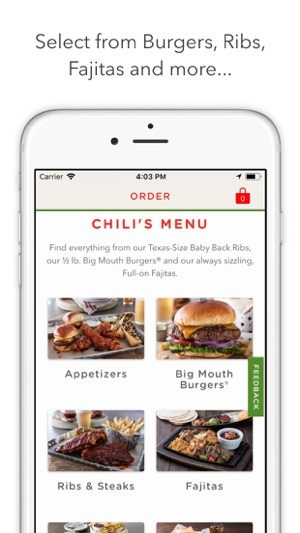 I eat at Chili’s often, but NOT like every single day. I have it set to use my location while I using the app. Unfortunately, the app doesn’t like that. Every time I open the app it reminds my to change my settings. It’s a bit annoying. That’s why I took away one star. 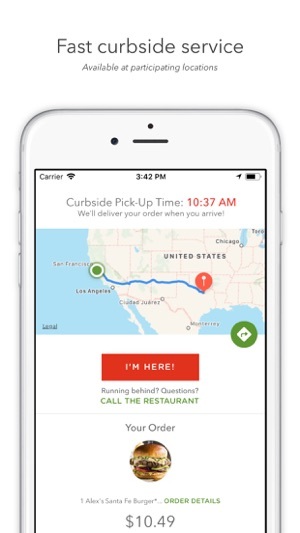 Great App BUT could be even better!! 1) have bugs/feedback tab in actual app. 2) have button under burgers so you can actually order the burger at temp you want so we do not have to call on. 3) have name field under each item ordered so person who is eating name is printed on ticket box. As is now - I have to call store after placing order online and then go through entire order so they have names. Employee then gas to hand write name on each box. We often have 15+ items do between calling in and then taking time to write names - they are waisting 10 minutes when this could be resolved in a few hours of coding by web designer! I’ve been telling corporate this for 11 years now!